New Ibotta Bonus: $1 Just Because! You are here: Home / Instagram / New Ibotta Bonus: $1 Just Because! Ibotta has a nice new bonus for us! 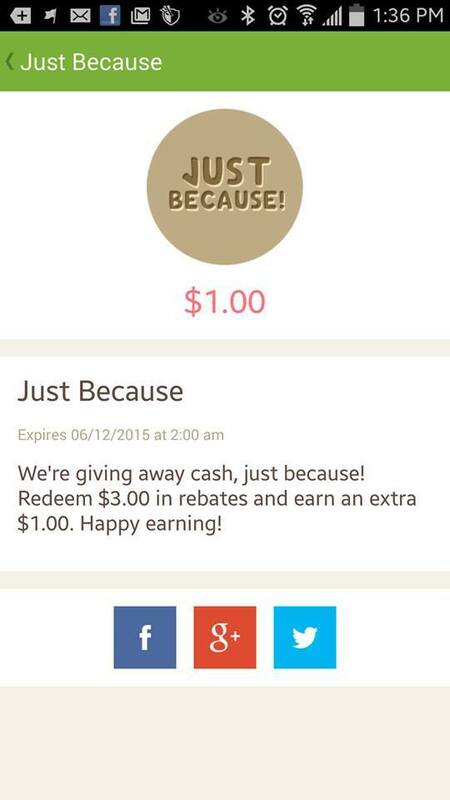 Right now, there’s a new Ibotta bonus you can use to get $1 back when you redeem $3 in rebates – just because! This offer is only available for a few days, so make sure you hurry to grab it! There’s nothing like getting some extra FREE money just for redeeming your usual rebates!